If you can’t hunt it, if you can’t find it, then you can’t eat it. This popular way of eating known as The Paleo Diet has people everywhere ditching refined sugar, dairy, grains and legumes in favor for meat, fish, poultry, fruits, and veggies. The theory being that our carb obsessed and over processed diets could use a blast from the past in order to bring our healthy back. So, if you are down to take your diet way back into time know this: While you may develop a healthier, fitter, disease-free life you may also be missing out on the various nutrients only found in dairy and grains. Also, in addition to this you may overdose on meat if you are not careful about making lean choices. I say ease in and see how it goes. Or maybe add a few “Paleo Meals” to your diet to start. However, no doubt, you will have a lower sodium diet by ditching those processed foods, so that I say, be a part-time cavewoman in regard to this sis! 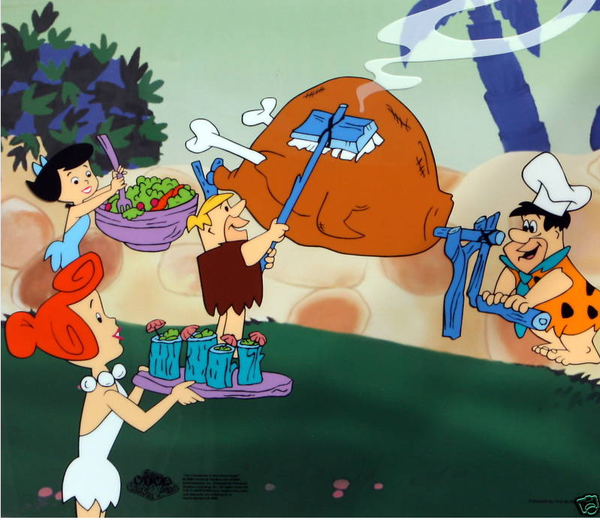 Ever imagined what it would be like to eat and move like a Flintstone? Then this Paleo Diet trend may be for you. Also known as a Caveman, Stone Age, or Warrior way of life, this plan dating back 10,000 years ago may be just what some of us need in order to get back to our healthy roots. But just like any other trend there may be risks involved, and not all trends are worth adopting. So keep reading to see if you are really down to be primitive and proud. As in don’t just work out—play out. Movements that regenerate, reinvigorate and restore your body. Universal movement such as walking, running, pulling, jumping, balancing etc. Movement where your mind body connection is fully engaged and active. The ability to shift among challenges, intensity and disciplines with ease. Simply put, train for the way you want to live. Train for life and longevity. Hollaback spot training. Full body, multi-joint movement is where it’s at. Be an opportunistic about movement. You see an opportunity-jump on it (literally). Act your shoe size and not your age! Hello vitality, creativity and passion. This workout regimen is super easy to follow and more fun than expected, so buy the book today, wild woman. Not motivated enough to explore your inner jungle girl alone? Pop into a class. As an Equinox group fitness instructor here in NYC I am excited to share that one of newest and hottest classes we offer today is Animal Flow– a workout that combines animalistic movements with elements of Parkour, break dancing and gymnastics in a freestyle flow of fluid movement that is intense but fun! As it’s name suggests, this workout is based around animal movements, forms that mimic or resemble different animals, and or movements inspired by the sounds, nuances and rhythms of animals. It is wildly RAD indeed so check it out here. Sometimes looking the part is enough. When it comes to functional yet fashionable Cory Vines has got it right. This activewear line is perfect for people who love adventure and simplistic cuts. And here’s the best part– their tops are not only breathable, but cost friendly–starting at just $20 bucks. Cory Vines founder Daniel Lieberman, I love this line. Kind of been wearing The Everyday Tee every single day.